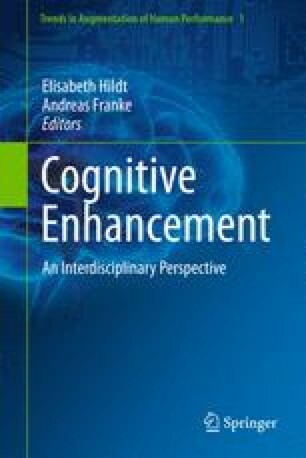 One controversy within bioethics regards whether the use of potential cognitive enhancements would decrease fairness in society by giving advantages to the already privileged or increase fairness by enabling the worst off to compete with others. Both positions are based on a notion of society as competitive, in which fairness is the purpose of a certain degree of institutional intervention. In the context of cognitive enhancement, this intervention would be the regulation or deregulation of the use of certain drugs by schools, universities, employers or legislators with the goal to protect competition. In the context of neo-liberalism the state intervenes in the market to protect competition. In both contexts, the aim is to level the playing field and to provide equal opportunities to compete. Within the framework of Michel Foucault’s terminology, I will argue that the bioethical debate on fairness forms part of a neoliberal governmentality. I would like to thank Nicolas Langlitz for many very inspiring discussions that have enriched this chapter and Thomas Biebricher, Georg Fischer and Isabell Trommer for valuable editing and comments.